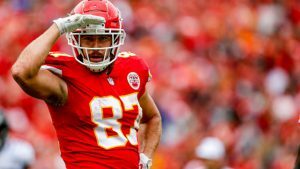 Looking back on 3 years of draft strategy research, George Kritikos discusses why ZeroRB proved to be a very viable dynasty strategy for the long term. For those who missed the inaugural article to this series, I recommend going back to visit that before going any further. Also, Late Round Quarterback was analyzed in the first of the strategy deep dives. In this edition, the focus will be on another popular, albeit contentious, strategy in Zero Running Back. For this exercise, if a team fails to draft a running back within the first five rounds of the draft, it is classified as a Zero Running Back team. In total, there were 150 instances of teams employing this strategy, which makes up roughly 26% of all the teams who drafted. 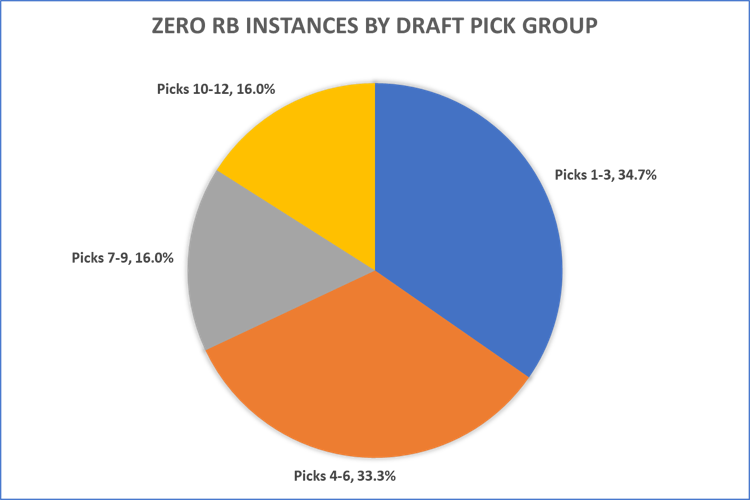 Unlike Late Round Quarterback, which had a fairly even distribution among draft slots, Zero Running Back has a clear preference in draft strategy depending on where teams were making picks. Nearly 35% of Zero Running Back users had a top 3 pick and 68% were in the top six picks overall. At the time, this was largely due to the 2014 draft class’ success at the wide receiver position. Speaking of players, it is important to understand who was most frequently targeted by those drafters, particularly during the early rounds. Here is a list of the top ten players who were drafted most often when using the Zero Running Back strategy. As mentioned previously, the 2014 NFL Draft wide receiver class had an influence on drafter preference when using Zero Running Back. 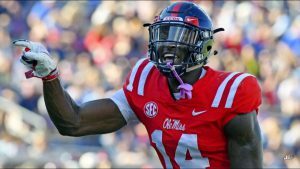 They account for four of the top ten players selected with wide receiver overall making up eight of the top ten options. This is no surprise given the typical longevity at the position relative to running back. Looking into the running back position further, it is important to understand tendencies here to see how to approach this strategy. There were two types of running backs here. The first were underappreciated backfield receivers like Charles Sims, Shane Vereen, and Gio Bernard. The latter were committee backs who were more versatile like DeMarco Murray and Derrick Henry or Justin Forsett and Kenneth Dixon. While not everyone on this list has been consistent, most have had moments where they have been startable assets. Looking at one of the more successful Zero Running Back rosters, the one below actually also used the previously studied Late Round Quarterback strategy as well, which helped the team immensely. The combination of Jared Goff and Alex Smith helped this team to two top-12 finishes at the position. The early gamble on Travis Kelce at tight end paid off as well. And while Brandin Cooks was a solid hit at wide receiver, the team has largely seen the talent fail to live up to expectations. The focus on running back was around committee options, which has worked out well with Jeremy Hill, Jerick McKinnon, and Isaiah Crowell all having at least one top-24 finish each at the position. It’s worth noting that a good portion of this roster is still very valuable today as well. While most of those early wide receivers haven’t paid off, the production has largely been interrupted by injuries to Allen Robinson, Tyler Lockett, and Will Fuller. That said, they all do still have good trade value and could help this team shore up weaknesses at running back or wide receiver depth. The team of course could have been very successful adding assets around this core via rookie drafts or trading picks as well. Focus on value parts of running back committees – Committees exist because a team does not have a three-down option. That makes the upside limited but volume still drives production at the position. Without obvious starters, a dynasty team that goes Zero Running Back needs startable options to balance out some upside later. Don’t forget about the backfield pass catchers – In PPR leagues, a reception is typically worth 2.5 times more than a rush (h/t Adam Harstad). So a running back who is capable of catching 60 passes is the same as a running back who gets 150 rushes. 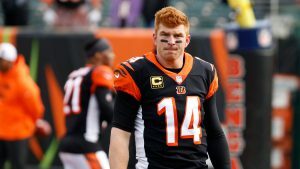 Specialists shouldn’t be ignored in dynasty drafts and they tend to be discounted. 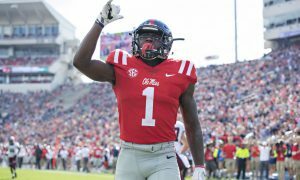 Elite options elsewhere – Knowing that running back is going to be ignored early opens up the possibility of not just stacking wide receiver, but also looking at quarterback and tight end options. Grabbing an elite option at either of these positions costs less than running back and results in fewer decisions to make in a weekly lineup. That’s it for the look at Zero Running Back. This series will continue dissecting the remaining draft strategies.